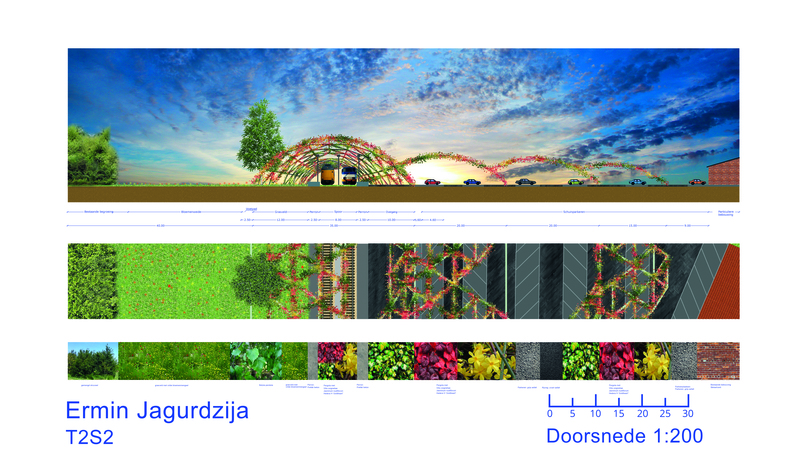 This was an assignment for a train-station in Holten. 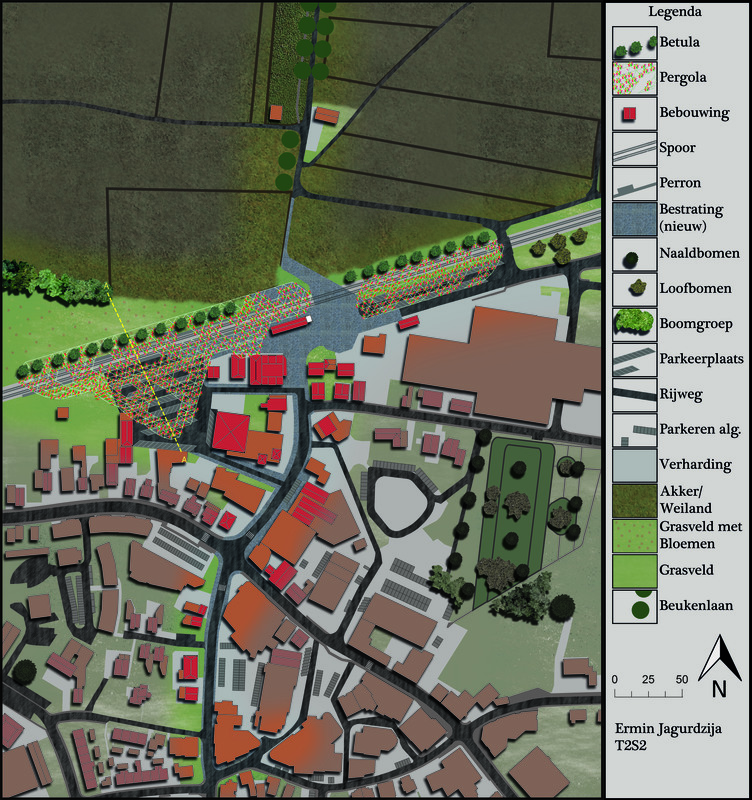 There was a need for a connection between the Holterberg (Holtenmountain “59,5 meters”) and the village. 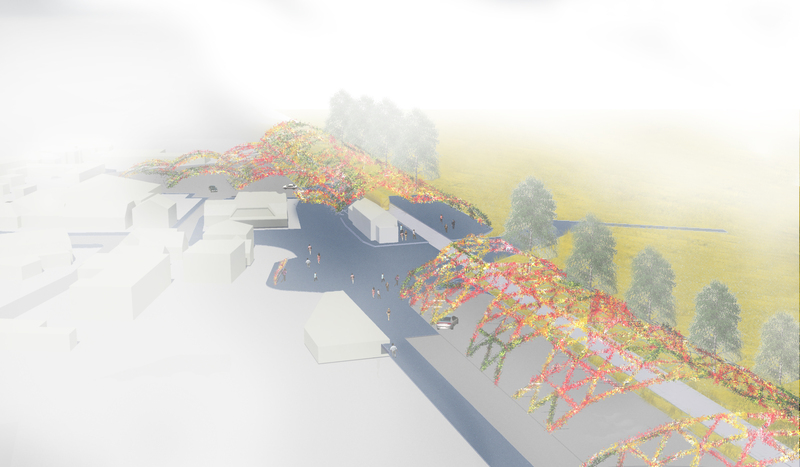 My design is a semi-transparent hexagonal pergola-tunnel which seems like a colorfull hill that masks the view to the industrial terrain on the east and filters the noise pollution caused by the passing (transport-)trains. 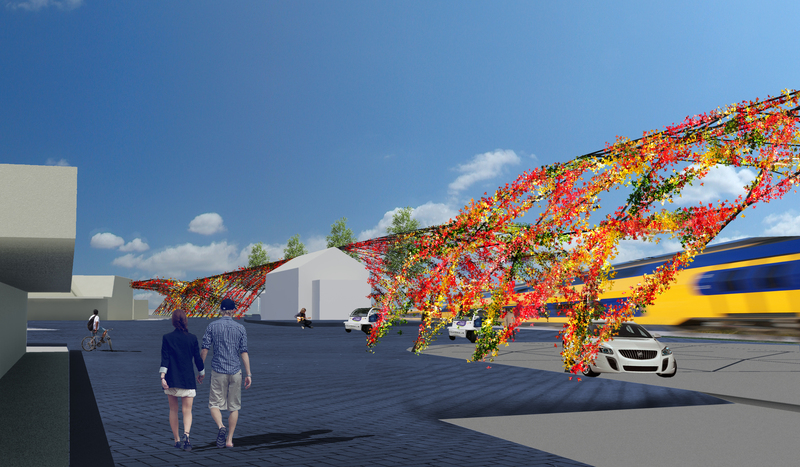 This pergola also covers the parking spaces on the southeast and southwest to keep it integrated with the train station. 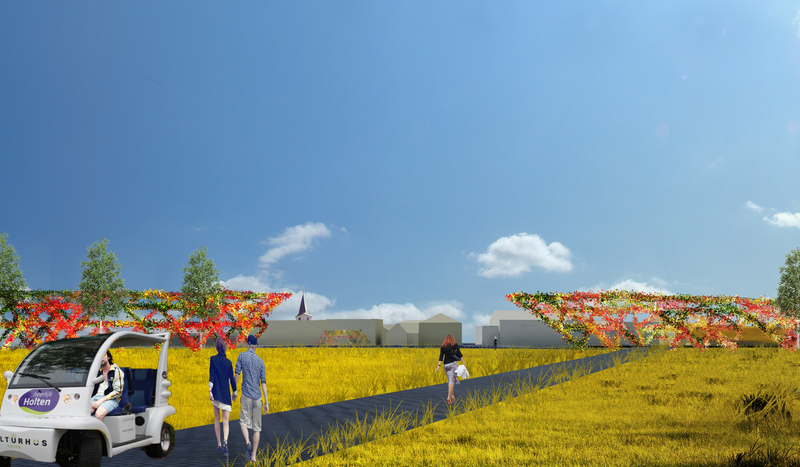 The constructions is made with 6 meter long aluminium cylinders for easy and sustainable manufacturing. You might argue that aluminium is not a sustainable resource, but i beg the differ (*) due the fact that if the construction was made with wood there would me more maintenance, more wood cut down for replacement parts that needs to be processed with heavy machinery which uses fossil fuels. Whereby Aluminum can easily be recycled with 5% of the energy consumption that is used for raw resource extraction. On top of that it is recycled with electrolysis which can be powered with clean energy. Also it is water resistant and fireproof so it can last way longer that lumber ever would. Sight from Holterberg to the church.